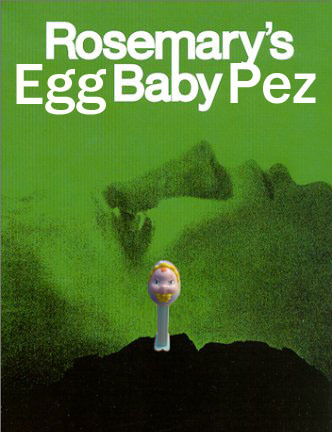 Let's face it, Egg Baby Pez is one of the creepiest Pez dispensers ever made. 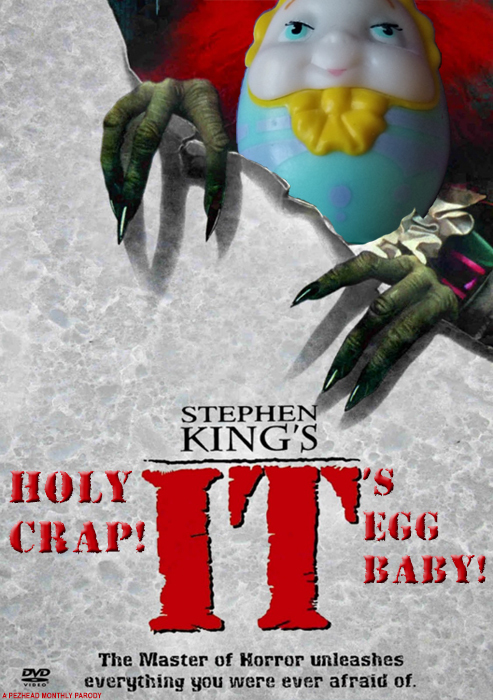 Was this intentional? Most likely not, but there's no denying the chill that runs up the spine of some Pezheads when they behold this particular Pez dispenser. 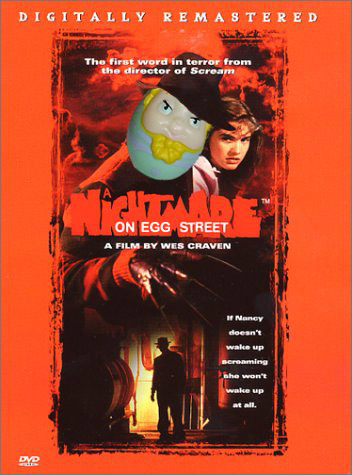 There is a certain appeal to this, of course. 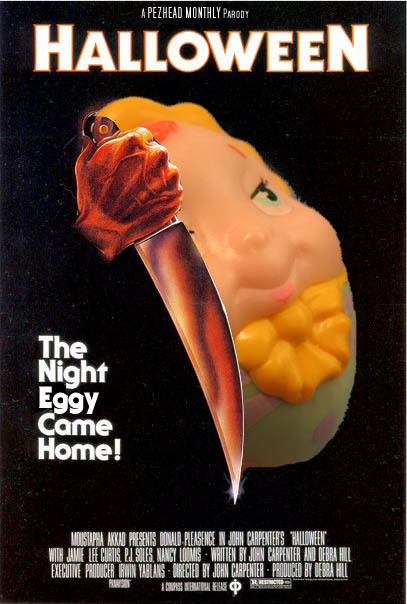 So to celebrate this, Pezhead Monthly has occasionally Pezzified some horror movie posters with a little bit of Egg Baby Pez mixed in. Click on any of the images below to have a closer look. 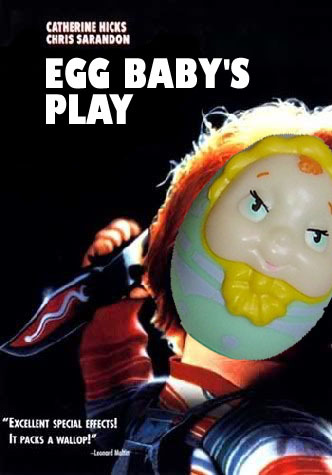 This page is dedicated to Heather Johnson, a fellow Pezhead known as "Egg Baby Mama." 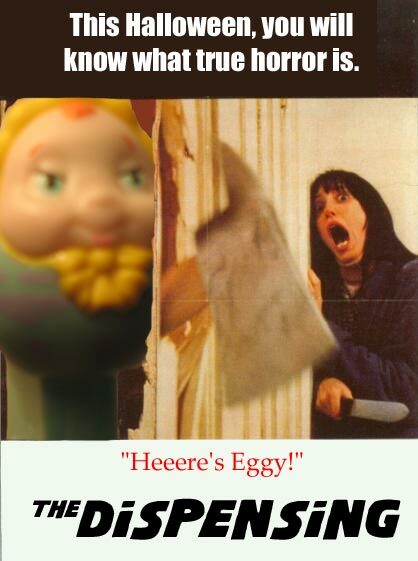 In addition to her famous adoration of Egg Baby Pez, Heather was a close friend to many in the Pez collecting community. She was widely known to be a kind, caring, and giving person who had many good times with her Pez friends. She was also a big advocate for animal rescue. Heather passed away in October 2018, leaving a hole in the Pez world that can never be filled. She leaves behind a loving husband, children, and fur babies. Her spirit lives on in all of her family and friends. Rest in peace, Heather.